Empire’s GODZILLA Coverage is Spectacular! Scans Are Up! – SKREEONK! 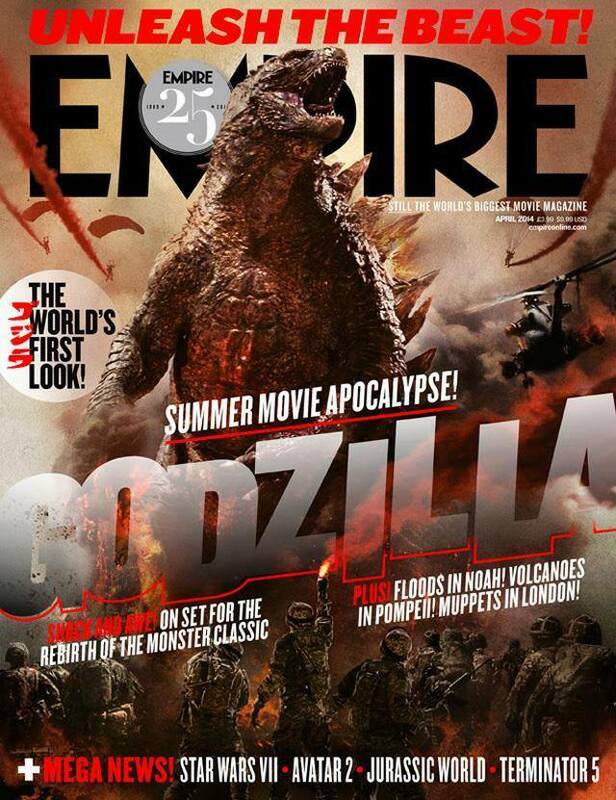 Empire’s GODZILLA Coverage is Spectacular! Scans Are Up! Happy Thursday, all! And Happy Birthday to ME! Jon @ UnCanny here with an excellent read that made my birthday just that much better! Toho Kingdom user Can of Conspiracy has provided the fandom with scans of Empire’s Godzilla coverage from this month’s issue, and its pretty damn incredible. Usually, the photos outshine whatever offerings the actual article has – but this is not the case here. Empire knocked this spread out of the park, pulling out all the stops to bring us almost a dozen pages of spectacular coverage worthy of the issue’s magnificent cover. This will get you excited for the film if you’re not already, I guarantee it! The article begins with a wonderful Editor’s forward, and ends with a great interview with Bryan Cranston – both of which you’ll have to pick up the issue to view. I want to share all of this with you guys, but at the same time Empire did such an amazing job putting this together for us fans that I think we owe it to them to pick up the issue, yah? Yah. Enjoy the coverage and expect much more in the near future! Until then, true believers! Next Post Empire Unleashes Yet Another Cover for Legendary’s GODZILLA! Previous Post Snicker’s New GODZILLA Commercial is An Instant Classic!